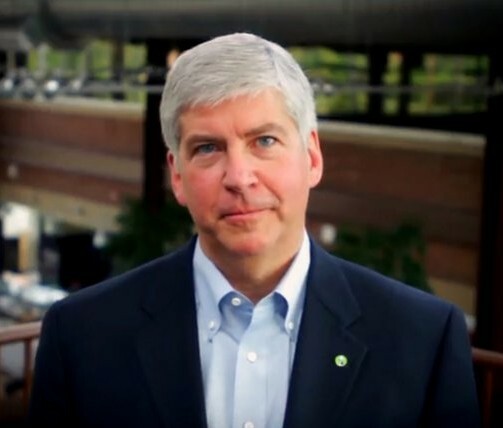 The uphill battle to recall Rick Snyder is getting new life. The Rev. David Bullock says he has secured an endorsement from the state Democratic Party and hopes to get the backing of the UAW soon – and then perhaps other powerful groups. So he is extending the petition campaign another three weeks. The signature gathering effort began on Easter Sunday, March 27, and was supposed to end May 25. State rules give a recall a 60-day window. But that window can be moved within an overall 180-day period after the petition language is approved. Bullock’s petition was certified Feb. 22. So even a further extension is possible. For now, the decision means signatures obtained in the first three weeks after Easter will no longer count. But that won’t be a big loss. Bullock says a statewide count this week showed barely over 100,000 signatures in hand – just over an eighth of the total number needed – with most of those collected this month. Without funding or major backing, the statewide effort has been run out of Bullock’s church on Rosa Parks Blvd. and has relied on a small group of enthusiastic but mostly inexperienced volunteers. New rules passed last year by the GOP-controlled state legislature shortened the time allowed and increased the number of valid signatures needed to a quarter of all votes cast in the last statewide election, in this case a monumental 789,133. The rules also make signature gathering at large events a daunting task by specifying that registered voters must sign a separate petition for their own municipality, rather than by county. Nonetheless, many people sign eagerly. “People have been actively looking for petitions to sign,” Bullock said, and momentum has picked up in recent weeks. But natural allies so far have mostly sat on the sidelines. Union locals haven’t even let petitioners inside meetings. Many unions have told members the recall is unwise because Lt. Gov. Brian Calley will take office if Snyder is voted out – and Calley is supposedly far more conservative than Snyder. Bullock calls that position “disingenuous” and says it’s based on misinformation. Even if enough signatures are gathered, the earliest the state elections commission will put the recall on the ballot is next May. Calley would have only a year to serve after that as a lame duck from a disgraced administration. And despite the mountain of signatures that remain to be gathered, Bullock and his small crew of volunteers remain optimistic, hoping the state Democratic Party’s endorsement and the UAW’s potential backing will turn the tide. And removing Snyder who delegated to “professionals” that were incompetent or lied is his fault as a manager? Anyone who oversees any large organization delegates. If you don’t, you are an ineffectual micro manager that will crash and burn right away. The dam DimocRats are politicizing a public health tragedy for their own gain. At least Bull ock has the first part of his name right. The second half should be shat! I think that the lesson to be learned is open up your goddam mouth and talk. We have not heard one peep from Bullock. That is a hell of a way to run a railroad. I have signatures sitting here but they have not been picked up… no one calls and no one follows up. I was surprised and quite disappointed by the myriad complaints and criticisms by those who say they want Snyder out of office, yet made no real contribution to the effort. Despite the intricacies of the campaign that I may not have agreed with, I was more driven by and focused on the common goal – getting Snyder out of office. With that goal in mind, I did what I could (however little it was) to help. The divisiveness and apathy that I’ve witnessed among Michigan’s Democrats makes me sick! This tremendous weakness is the very reason that Snyder was RE-elected to continue to suppress the rights of Michigan’s most vulnerable citizens. The Republican party’s ability to unify despite differences is something we could stand to learn from them. Incumbents are ellected at about 85% of the time, when they are not, its mostly them retiring or a scandal. While my comment intrigued you enough for you to respond, I respectfully decline your invitation to engage in dialogue. Your assessment of me as a troll who lacks the ability to think things through and who has stupid ideas let’s me know that your initial question was simply rhetorical. You don’t want to hold a discussion. You want to instigate one of those “classy” virtual catfights where one party declares and establishes their superiority by tactlessly spewing any manner of insults their “superior” mind can think up. Lol…not today. I won’t be under the bridge you sent me to, but I will be curled up on my sofa binge-watching Laverne & Shirley. All I hear are crickets when I asked you what you propose to do if Snyder is removed. You won’t/can’t answer the question because you buy the party political line & then claim “moral superiority”. I still haven’t seen anything from you that might suggest that you have the ability to think things though. Are you sure your sofa isn’t under some bridge? All I can say is wow! 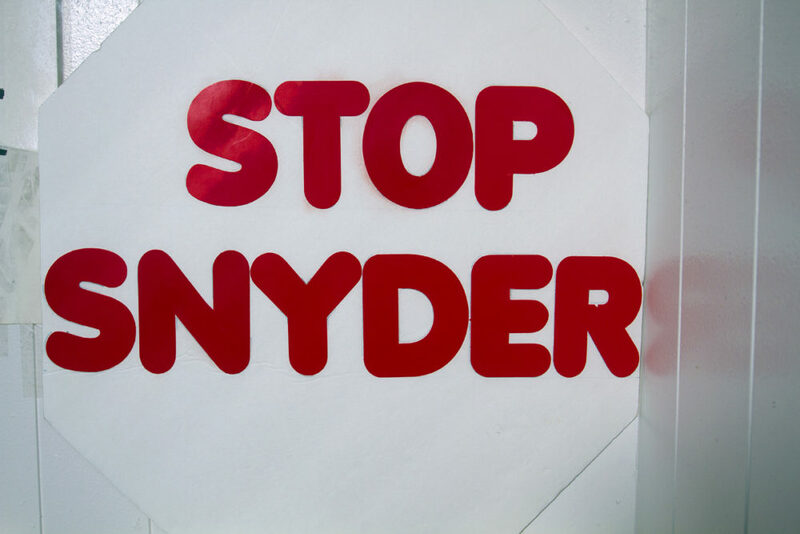 But the Bottomline, snyder must GO! Either way you look at it. Shame on UAW and Democratic Party for not being a part of this effort. So how is Davis doing with. 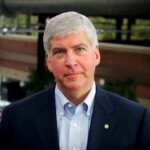 his recall snyder petition drive?? Does anyone know? SHAME on YOU! Rather than working to help, all you want is a Republican scapegoat so you can put another granhole in charge to run the state into bankruptcy. The UAW & Dims are responsible for more misery. Flint wa run by DimocRats that were stupid AND incompetent, NOT Snyder. The EM approved the spending, did NOT direct how it would be spent, per the city council, former mayor, & city workers. Open your eyes before your mouth. I’m sorry but not surprised. First of all, when you are not honest with the people this is what happens. The people who worked their behinds off with genuine intentions. So they are not the ones who are dishonest in this whole debacle. I love those who tried so hard and I truly hope that for their sakes, that this can be turned around. I advised Mr. Bullock to begin this recall effort on March 8th and for whatever reason he chose not to. Second, I advised him early on to place the petitions online so that people could download the petition all over the state. Again he chose not to until it was too late at which time he then decided to place or give people the option to download petitions for signatures. The advice that I shared with Mr. Bullock can be confirmed by him if he chooses to tell you that I advised him of these things. I had no idea that Mr. Bullock was running for City Council. I had only found out when one of the solicitors had both petitions, the petition for the recall and then handed me a petition to sign to have Bullocks name on ballot for City Council. At that point, I realized what was really going on. It was an awww haaaa moment. He misused the time of the people who truly wanted and still continue to want Snyder out of office. Mr. Bullocks goal was to work primarily in the city of Detroit with the intentions of getting signatures so that he or his name would be on the ballot running for the At-Large City Council seat. Otherwise, why would he have not worked directly with those who live in Flint? Well said. And thank you for the background. This was a horribly disorganized effort by a leader who refused to take the necessary steps to make the petitions successful. Really what was your great contribution to the signatures. Did you walk home to home? Did you have a table in front of the Grocery Store? While I love Motor City Muckracker & support independent journalism, I am disappointed with Steve’s comment below Cynthia Johnson’s statement. I feel the statement lacks context and for that reason is unfair. When the campaign started, both Cynthia and I volunteered on the Stop Snyder Facebook page. I assisted courtesy of GLA. I must admit, I was unaware of most of the ground game. I was only a fly on the wall observer. While providing one month of traffic engineering courtesy of GLA, I respected I had joined a team which included many prominent Michiganders like Ms.Johnson. Yet, I expected everyone to leave their egos at the door & take concerns to Pastor Bullock. Ms. Johnson’s suggestion to begin on May 8 was a sensible idea. Yet, how could Pastor Bullock accomplish this, when he’d only recently navigated the BoC? Keep in mind over 20 petitions were submitted & no one knew whose petition would be successful. If the petitions, volunteers, or other aspects of the circulation were not ready on May 8, then Ms. Johnson’s request, no matter how ideal, would be impossible. Steve commented that he believes the effort was disorganized. If Steve’s on the ground observation is accurate, how could one expect circulating could begin even earlier? Perhaps, even more endorsements, preparation and resources were needed. I won’t pretend to have that answer. So out of the gate, after volunteering just a few days, I was very disappointed when I read Johnson’s public attacks all over the internet and in the newspaper that she had better ideas than he and the effort was doomed to fail. Not only did she gain access to sensitive information then publicly attack the petition on myriad grounds, she also privately messaged many other volunteers and activists to dissuade their participation! She predicted it would fail and that if it succeeded, the election would come in 2017. Johnson informed one female she was just one of many silly female fans who had no grounds to trust the Pastor. She created discomfort and successfully dampened the morale and dissuaded so many people from joining the effort to recall Snyder. I don’t understand her motivations. No doubt, Ms. Johnson is a very bright lady. While we all have good ideas, we can’t force, or destroy something, and humiliate our team members because every little thing doesn’t go our way. Did Pastor Bullock follow all my ideas? No, of course not. Whatever the faults one may see, Pastor Bullock succeeded to unify citizens across racial, economic and geographical lines to focus on a common goal. He also helped to restore morale and give a voice to many who have felt disenfranchised. Pastor Bullock also opened up new lines of communication between democrats in various areas of the state. With all that is happening in our nation, democrats can benefit from more unity and coalition building. I made new friends who share my values and love for Michigan. I am glad that GLA decided to provide support for this worthy cause. I hope that Michigan’s citizens continue to participate in the democratic process. Looking in from a distance and hearing from people on my own pages I know how excited they were that he worked so hard and did not stop, not like another who started a petition and never finished it. This burdened peoples minds that they could not fight back. Team work is the only thing I am interested in, You can not lead till you can work and gain cooperation, Thanks Tammy for all the explanations as from over here in Illinois I see the red plague crawling into our own politics. It is just as bad to me as ISIS as it buries people alive. Another DimocRat politician doing what they do best. Call names, grandstand, and increase misery. I would advise you to try being more useful, rather than critical. Helpful would be a plus! Divisive righteousness does nothing for the problem to fix or prevent it!